Product portfolio delayed, some models could be cut. 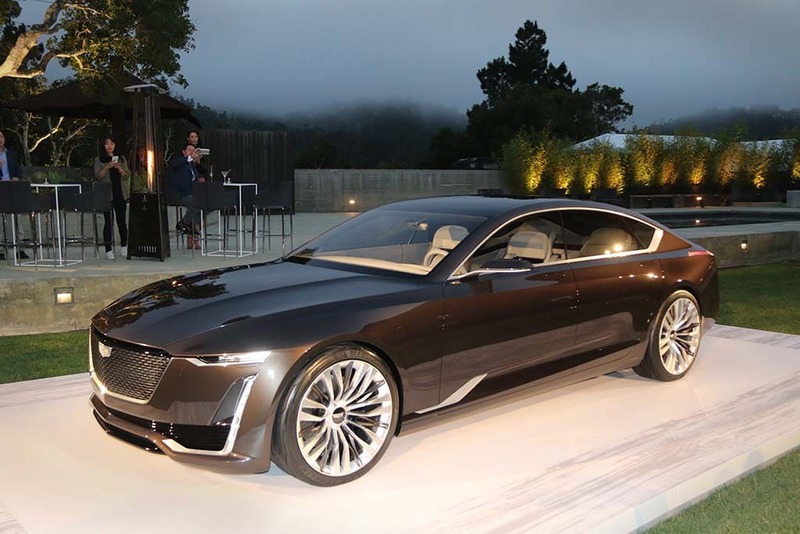 Cadillac offered a hint of its future design direction last week, in the form of the Escala concept car unveiled at the Pebble Beach Concours d’Elegance. But plans to launch a large luxury sedan that might share that design theme have been delayed and could even be cut, TheDetroitBureau.com has learned. 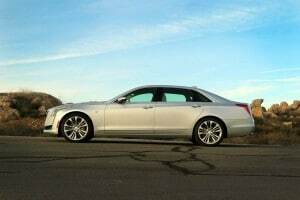 With General Motors’ flagship luxury brand struggling to boost U.S. sales, despite the addition of several new models, Caddy is facing the prospect that the aggressive product growth strategy outlined by brand boss Johan de Nysschen will be sharply paired back, according to various company sources and industry observers. Among the projects being delayed are the full-size sedan, which was expected to be called either the CT8 or CT9, but also the twin-turbo V-8 that would be used to power it. 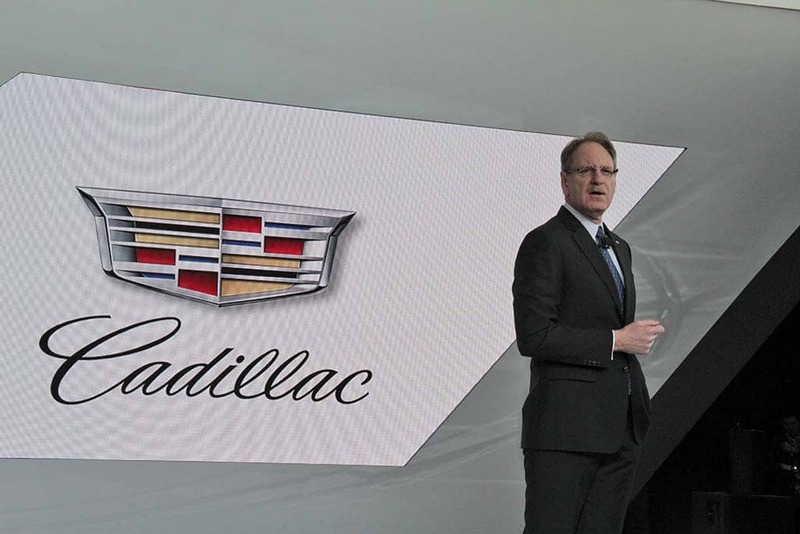 While the South African-born de Nysschen declined to discuss specific changes to the Cadillac product program, he did indicate there could be some slowdowns during a conversation following the reveal of the Escala show car. 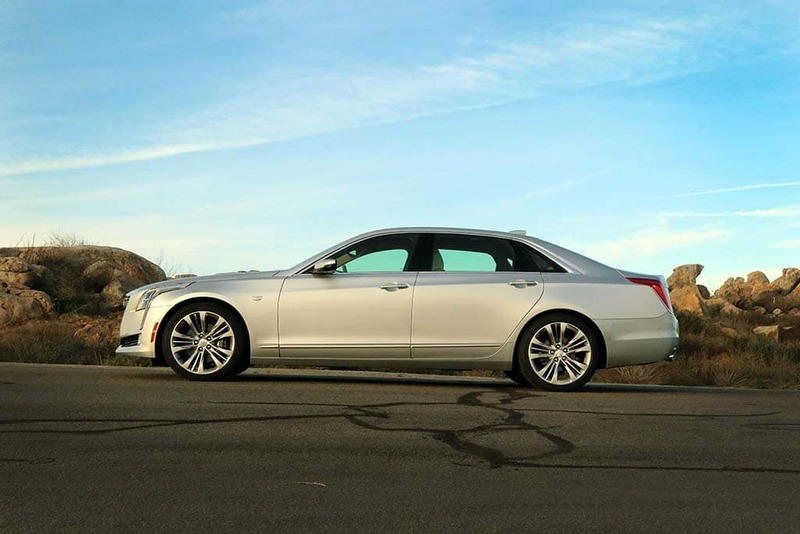 The twin-turbo V-8, for example, might not make it into production until “the next-generation CT6.” Since biggest sedan in Caddy’s current fleet just came to market, that might mean the high-performance engine wouldn’t be available until around the 2023 or 2024 model-year. Whether there would even be a need for it at that point is uncertain. That would be just before the industry has to deal with the full brunt of the upcoming, 2025 Corporate Average Fuel Economy standards that will boost the mileage of the typical American vehicles to 54.5 mpg. There is concern that could all but force the industry to abandon large V-8s. Cadillac may have to make due with the new CT6 as its flagship sedan longer than planned. Cadillac’s European luxury competitors have been preparing for those new CAFE rules – and equally tough mileage and emissions standards abroad – by working up fleets of battery-based models. Mercedes-Benz, for example, expects to have 10 plug-in hybrids on sale by the end of 2017, and will also offer pure battery-electric and hydrogen cars. BMW and Audi have similar strategies. For its part, Cadillac does have a plug-in hybrid version of the CT6 coming, but after dropping the small ELR plug-in, it doesn’t have anything else in the portfolio, and it apparently won’t be moving quickly to fill those potential gaps. A pure battery-electric model won’t arrive until “beyond 2020,” de Nysschen confirmed, adding that “Cadillac doesn’t have to be the technological leader for all of GM.” Where Audi has taken the lead among the dozen Volkswagen AG brands, it appears that the Detroit maker is letting Chevrolet get charged up, rather than Cadillac. It’s the delay, and even the cutback, of other product plans that more concerns Caddy insiders. 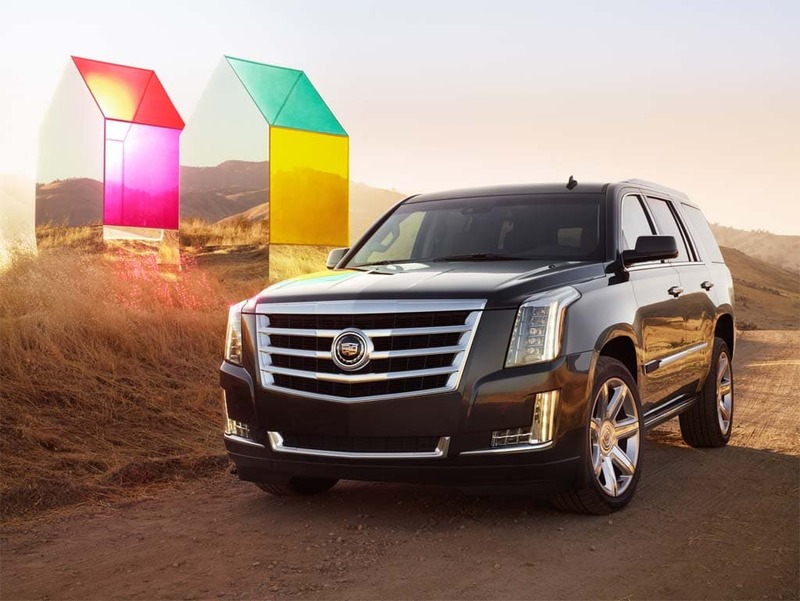 With luxury buyers shifting to SUVs, that's where Cadillac's product investment is going. While Caddy insiders were reluctant to go into great detail, the biggest changes in product planning are on the passenger car side of the brand’s portfolio. And that’s also something that industry observers believe might make sense. After all, pickups, sport- and crossover-utility vehicle, and vans now account for about 60% of total U.S. new vehicle sales. That’s only slightly less in the luxury segment, but even there the share is rapidly rising as new models come to market. Caddy is still expected to flesh out its portfolio of SUVs and CUVs. It recently launched the XT5, a completely new replacement for the old SRX, the brand’s best-selling nameplate. De Nysschen has said, on several occasions that as many as three other utes are in the works. That would appear to include two smaller models that would compete with the likes of the BMW X1 and X3 nameplates. A larger, three-row model is reportedly also in the works. Cadillac is expected to share in the fruits of one of GM’s most expensive and far-reaching product development programs ever. The maker is working on a new truck-based line-up that will use a breakthrough platform using a mix of aluminum and steel. That challenging approach could shave significant weight off future products, including next-generation full-size pickups and SUVs, sharply improving their fuel economy. Though de Nysschen declined to directly address the question of product delays, insiders say the issue has become one of frustration for a Cadillac team that had hoped to prevent a broader and more tempting portfolio that could better stand up to European and Japanese rivals. Audi has plans to add more entirely new nameplates by decade’s end that Cadillac will have in its entire line-up, as things are now expected to go. Cadillac President Johan de Nysschen has warned it will take time to rebuild the brand's momentum. But justifying the cost of the hoped-for Cadillac portfolio has become increasingly difficult as sales have failed to grow the way corporate managers had hoped for. Last year, the brand was up just 2.6% in the U.S., well below the pace of the overall market and its key luxury competitors. It has continued to lag in 2016. “There is a tremendous amount of pressure to get volumes up” before more money is invested in product, said analyst Joe Phillippi, of AutoTrends Consulting. On the plus side, global volume surged 7.5%, largely due to China, Caddy’s second-largest market, and the pace of that overseas growth has been picking up with the opening of new Chinese assembly operations. To his credit, de Nysschen has repeatedly stressed it will take time for Cadillac to regain momentum as its portfolio builds. But top corporate managers appear to be less willing to wait than when they brought the former Infiniti global CEO in two years ago. The new Caddy brand boss is seen as a hard-charging, albeit pragmatic, leader, and open to shifts in strategy. Sources suggest he has been working with GM management to explore other options for the CT8 concept that could wind up with something distinctly different from the original plan, something other than the classic, brand-topping 4-door sedan. Far from pulling the plug, GM continues to invest in Cadillac. It just appears to be scaling back the pace of that investment and making sure that its money is, for now, targeted at the products likely to deliver the most immediate sales growth, namely SUVs and CUVs. But that means that some products, including new sedans, coupes and sports cars, may not land in showrooms until well into the coming decade. And some may not make it into the Caddy portfolio at all. Some may also undergo significant changes from the original plan but still wind up in production. This entry was posted on Thursday, August 25th, 2016 at and is filed under Automobiles. You can follow any responses to this entry through the RSS 2.0 feed. Both comments and pings are currently closed. Sir, your well-written article was just brought to my attention and I feel obliged to respond. I do not know the sources of your information, but must assume they cannot be very high ranking, certainly they do not have access to the full spectrum of information. Some of what you report is correct, some incorrect, most is conjecture. I would just say I’m a lot more optimistic than the gist of this article would have readers believe. It’s not so much an issue of Cadillac programs which have been “cancelled”. The only item which is correct, is the change in planning for a Lux 5 flagship sedan, versus the plan which was previously reported to our dealers. Rather than calling it a “cancellation”, I prefer to consider the change to the flagship program as a revision to what will constitute the Cadillac flagship. There will be a flagship, but given the segment development, it will not be a large four door sedan. GM is currently in the normal annual planning cycle for budgets and the five year mid term plan. All functions in the company seperately develop their own resource balancing proposals which at this early stage of a bottom-up planning process, are likely subject to considerations of individual functional goals and resulting prioritization. Some of these may at this stage be better aligned with corporate and strategic objectives than others. This is a normal part of the corporate planning process, in my long automotive experience across three different corporations. There are still many steps in the process as we bring these functional budget proposals into alignment and consolidate them across brands and the global regions, for approval by GM top management and the GM Board of Directors, both groups, incidentally, having repeatedly expressed their support and endorsement of the Cadillac strategy. I suspect that a lot of the speculation that your sources may be experiencing, and reporting to you, was gleaned around the water cooler and likely has its origin in customary managerial tactics as people jockey for resource allocation at this early stage of the budget process. I consider myself to be very well informed about the Cadillac business and planning, I am fully aligned with my peers leading other corporate functions and divisions within the global GM corporation. As enterprise leaders, we jointly decide final resource allocation in response to the bottom-up proposals, once these are received . I trust these unusually transparent insights which I have shared, will allay the fears of thousands of Cadillac fans who will greet your article with justified consternation . Luxury 2 & 3 sedan could mean CT2 & CT3 I’m assuming? And for europe ? When caddilacs will come with diesel engines? Especially with V6 !!! For example theres only 7 dealerships in France, even in the small where i live ( Rennes ) we have a maserati dealership, you know already that the vehicles can be sold with the opel dealership network. What are you waiting for ? I am new to Cadillac/GM products. Have been a life long customer of Honda/Toyota products. Had a chance to drive an SRX while on vacation in Florida in 2015. Loved the performance of the vehicle so much that I decided to purchase one this year (Scott Cadillac, Allentown, PA). After driving the SRX for couple of days, I did comment back to the dealership that it would be nice if it had a 3rd row (similar to Acura MDX/Pilot). I am happy to hear that there is a model in the pipeline and look forward to the launch of such a vehicle. This is tiptoeing around the real point. The fact is Cadillac owes the two generations of Americans it abandoned during the thirty years it sold only embarrassing cars something totally breakthrough, priced to end the conversation and get the bad taste out of our mouths. Recent cars as noted, are a near miss. Bottom line: they still do not compel a purchase by anyone on the Coasts, which is where the market is and where the competion will still not be dislodged by recent products. The Escala indicates they have the chops to get there. This CT6 shows their commitment is tentative. I am a BMW and Mercedes buyer. I grew up in Saginaw and really wish I could buy a Cadillac. It’s the difference between playing to win and playing not to lose. So far, in spite of the good intentions expressed above, Cadillac is not really playing to win. And the certainly will not gain market share with hedged bets like the recent products. ‘NIce cars’ is not at all good enough. Thank you Johan. You indeed helped to calm this Cadillac fan’s nerves. However, I hope when you say no flagship “4 door sedan” you don’t also mean no flagship 4 door coupe. I do hope there’s a V8 coming. I drove a CT6 3.0TT last week during the Pebble Beach Concours; loved everything but the engine. While it makes about the same power as my S550, it lacks that essential smoothness that V8′s seem to provide. The sound is important too. Anyway, thank you again for keeping your fans informed, we appreciate it! Sales are tough right now Americans have fallen in love with a foreign car also we have a large foreign population now in the US is very large they are very loyal to their countries Auto. Asians countries are manipulating their dollar value and subsidizing all their US Car Sales to the dealers. This makes it very difficult for the US Auto industry as well as the steel industry and all the other manufacturing vendors in the US to compete its impossible. Thank you Johan for your response. One question I have is I thought the XTS would be ending its product cycle, with the brand moving towards Rwd platforms? Can you clarify? How do we know for sure this is the real Johan de Nysschen nailing Paul A. Eisenstein ? the future is the electric car, fortunately Tesla is here to save us. Despite your claims, Tesla isn’t here to save us and Elon Musk isn’t god or even a minor deity. He is a sophisticated huckster who has learned how to maximize taxpayer funded subsidies in order to semi prop up an economically infeasible electric car business model. Real car companies like General Motors and Ford and FCA and VW will expunge Tesla from the electric vehicle market with deep pockets and proper engineering and vehicle development. The Chevrolet Volt has more real engineering and technical advances in it than Tesla’s entire car line. Real car companies test and develop their cars prior to sale, they don’t dump beta versions of “autopilot” and “falcon doors” on unsuspecting buyers who are blinded by the idea of saving the damned planet. We will see if Tesla can survive without all the taxpayer assistance until EVs make dollars and sense. And when EVs become economically feasible, the real players will absolute crush Tesla. Let’s not forget EVs were around a hundred years ago. Dr. Ferdinad Porsche designed an eletric car with in-wheel hub motors in 1896. In 1900, he added all wheel design to his electric car. More recently, General Motors built the wheels, motors and suspensions for three rather famous all wheel drive electric cars. They are currently parked on the Moon. Tesla didn’t invent the EV nor did it advance any EV technology. Elon Musk just happens to be the best cult leader since the Rev. Jim Jones. When the free market will support EVs, all the major manufacturers will be in the game and Elon Musk will be looking for his Kool Aid. Very depressing article and response from Mr. de Nysschen. It signals that GM most likely has backed off of their plan to revitalize Cadillac which was utterly predictable and in fact, was a turn of events I predicted over a year ago. I have never known GM to invest in products with a long-term mindset. If there is no immediate return-on-investment, the company always bails. It’s why Cadillac has never been fixed before and it’s why it likely never will be. There will be new crossovers both above and below XT5. These are both likely FWD models based on existing GM “architectures”. In other words, classic GM badge engineering. There will be a refresh of XTS. Again, the ungainly XTS is a FWD rebodied Epsilon II or Buick LaCrosse. Previously this cheap-to-build parts-bin special was rumored to be going away which should be its fate. It has horrible FWD proportions that lend a commodity car appearance not befitting the once glamourous Cadillac name. Buick needs to be the only brand selling this Lexus ES competitor. There will be a flagship but it won’t be a sedan and CT6 will be freshened. This is perhaps most disappointing of all as CT6 was supposed to be a world-beater that would take on the very fine sedans from Bavaria, Stuttgart, and Ingolstadt. Unfortunately as its launch drew near Cadillac began to dial back expectations and claimed there would actually be a car above CT6, the CT8 that would assume that role. Now we hear that car is not to be and instead CT6 will be freshened. That sounds to me like Cadillac will continue to not play in the big leagues; a seeming acknowledgment that they can’t cut it. I think the speculation that the shocking goodness of the new S-Class caused Cadillac to abandon their plans has much merit. As for a new flagship that isn’t a sedan, my guess would be a return to the Corvette-in-drag formula employed on the XLR where a Caddy flagship was derived from the bones of a Chevy sports car. This time it may well be the mid-engined variant. While such a product might be nice, it still won’t be an authentic thoroughbred Cadillac as is needed. Then Mr. de Nysschen speaks of a “Lux2″ and “Lux3″ which would be small, entry-level cars designed to compete at the bottom of the market. While this is certainly important, it won’t do much to restore luster to the tarnished wreath-and-crest. In fact, my opinion is that these bottom end products like Mercedes’ CLA actually rob the brand of cachet and exclusivity and return little in the way of profits. They are only useful to serve as a gateway for a new generation of buyers and thus should be offered with restraint. Lastly the engines: The plan for a line of Cadillac-exclusive engines which is much needed and absolutely vital is not sounding very certain with the statement that there will be “new power train applications” to include “New Energy”. That falls way short of saying Cadillac-exclusive or class leading engines are on the way and would be another massive disappointment for all the Cadillac fans, myself included, who so wanted an exclusive line of modern-day Northstar engines. Cadillac doesn’t need more FWD cars, they don’t need more Chevrolet derived SUVs, more Corvette-powered wannabe BMW M sports cars, or more parts bin engines and they don’t need a product below the ATS. They also don’t need to continue on this pursuit of Audi and BMW generally. I have long said that Cadillac has a grand and glorious history of building fine cars that rivals that of the Germans. They should be drawing inspiration from their own history rather than trying to clone cars from the Black Forest. It seems to me that they are as an actor onstage playing a part which is totally out of character for who they are; that’s a tough place to be. Cadillac has never been a brand known for canyon carving road machines. They are a brand known for flamboyance and supreme comfort which interestingly are values personified by Escalade which is their most successful product. 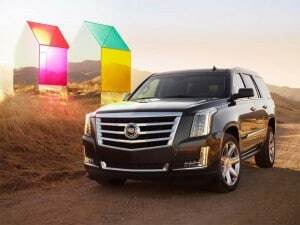 Though I’m not a fan of the rebadged Tahoe nature of the Escalade, I find it useful in illustrating that the product that is least BMW-like and possesses more Cadillac DNA than all others is the one that succeeds in the marketplace. The comments above from Mr. de Nysschen indicate to me yet another stillborn revival plan for Cadillac. It’s pretty much what I expected but disappointing none-the-less. I don’t doubt for a second Mr. de Nysschen’s capability or good intentions. Unfortunately though, he works for a company with a long history of short sightedness which means Cadillac will likely never change and the Germans have nothing to fear. Lincoln, however, and the other Tier 2 luxury brands might be a different story.